North Korea’s first missile test of 2017 represents important progress. The missile North Korea launched on Sunday morning — its first test of 2017 — was at first unknown, but has since been revealed as the Pukkuksong-2 (Polaris-2), an intermediate-range, land-based variant of the solid-fueled Pukkuksong-1 (KN-11) submarine-launched ballistic missile. 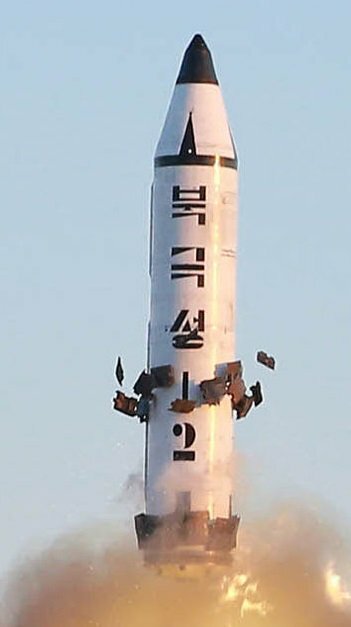 Even though Sunday’s test didn’t feature North Korea’s still-untested intercontinental ballistic missiles, the unveiling of the Pukkuksong-2 is deeply significant and represents an intensification of the threat represented by North Korea’s parallel nuclear and ballistic missile programs. A video of Sunday’s test has been released by North Korean state media and is available here. 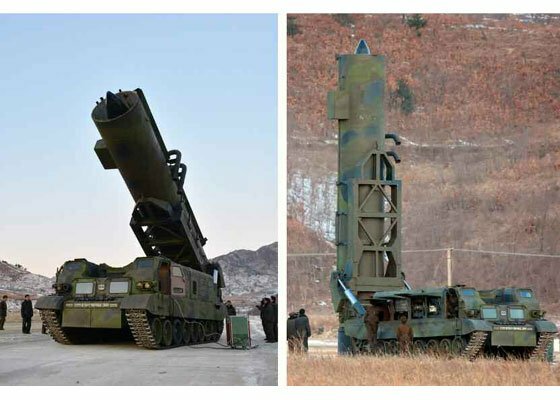 While the missile itself is an interesting development in North Korea’s capabilities, the transporter erector launcher (TEL) seen on Sunday is also of note. North Korea has, for the first time, used a TEL with off-road-capable treads to launch what will eventually be a nuclear-tipped ballistic missile. This is important because it suggests that North Korea is getting quite serious about improving the survivability of its road-based launchers. According to the CIA World Factbook, North Korea has just 724 km of paved roads compared to 24,830 km of unpaved roads across its entire territory. Though road-mobile missile launchers present some survivability advantages even without being capable of firing on unpaved roads or even off-road, in North Korea’s case, the difference is quite stark. 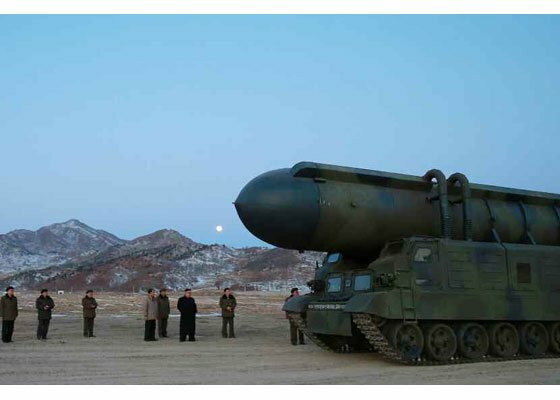 Pyongyang’s existing 12-wheel TELs for its Musudan missiles, for example, require mostly finished roads to safely transport and fire their missiles. An off-road-capable TEL will make it significantly difficult for the United States and South Korea to locate and destroy North Korean launchers in the event of a preemptive attack for example. Given North Korea’s intensifying fear of a disarming first strike by the U.S.-South Korea alliance — something that it regularly claims, for example, is the purpose of the large springtime Key Resolve/Foal Eagle exercises — the focus on improving survivability is unsurprising. As Lewis additionally notes, Sunday’s test is also a “step toward solid-fueled ICBMs” out of North Korea. Combined with the shift to solid fuel, off-road TELs demonstrate that just as the KN-11 SLBM is designed to improve the overall survivability of North Korea’s nuclear deterrent, North Korea’s land-based systems are eventually getting there. As the Trump administration carries out its ongoing policy review of the North Korean problem, where it may weigh the realism of a disarming first strike before North Korea progresses to an operational and reliable ICBM, these factors should no doubt be a consideration. North Korea is quickly increasing its flexibility with its SLBM and its land-based solid fuel options, ensuring that any preemptive strike is unlikely to be totally disarming, giving it the ability to strike South Korea or U.S. bases in the Pacific with a nuclear warhead. Even as the United States focuses on the threat of a North Korean ICBM, which may loom around the corner, these developments merit serious attention. North Korea introduces a new "ultra-precision" Scud variant. What good is it?